•	FUT is a hair restoration technique in which a patient's follicle is transplanted in naturally occurring groups of 1 to 4 hairs, called follicular units. •	Follicular units also contain sebaceous glands, nerves, a erector pili muscle, and occasional fine villous hairs. •	In advanced Follicular Unit Transplantation these small units allow the doctor to safely transplant thousands of grafts in a single session, which maximizes the cosmetic impact of the procedure. 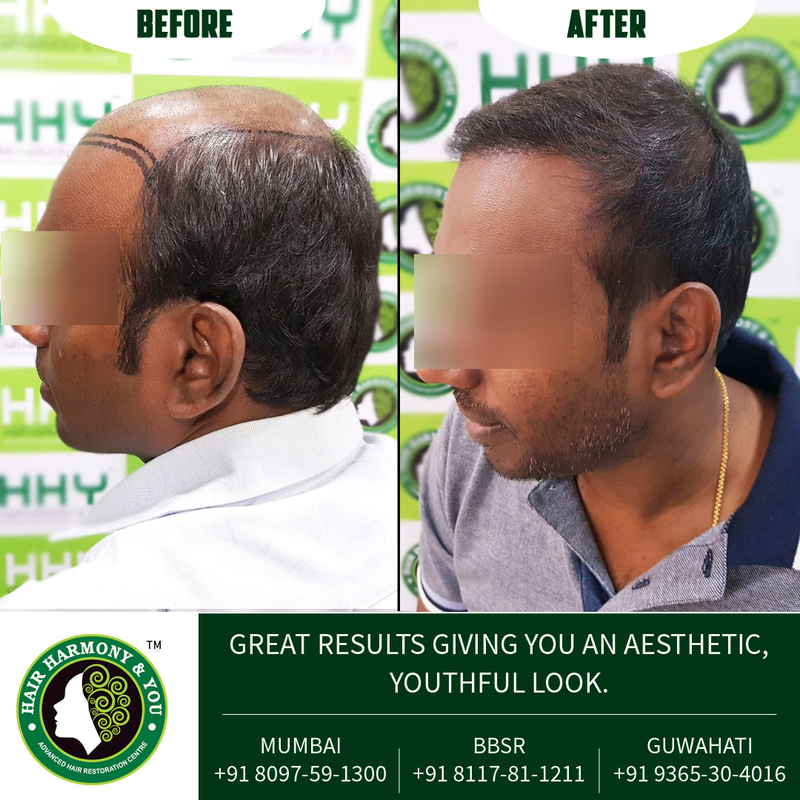 •	FUT is considered as an advance hair transplantation procedure because and the older technique is out dated that used larger grafts (punch grafts) and often produced a pluggy, unnatural look. •	In a properly-performed advanced follicular unit transplant, the results will mimic the way hair grows and looks natural and will be undetectable as a hair transplant. •	Since the follicular unit is a distinct anatomic and physiologic entity, preserving it intact during the graft dissection gives a good outcome of the results after transplantation. •	In FUT, after hair is extracted from the back of the scalp in a single strip, stereo-microscopic dissection under electronic video microscope allows the individual follicular units to be removed from this strip very carefully. •	In the older mini-micro grafting techniques, hair was harvested in multiple strips with the follicular units in each strip edge showing damage from the harvesting blades. •	The strips were then cut into smaller pieces, a process that would break up follicular units and risk additional damage to the follicles. •	Advanced Follicular Unit Transplantation enables the hair transplant to look natural on total i.e. both at the individual follicular unit level and in regards to the overall graft distribution. •	As the scalp hair normally grows in follicular units of 1 to 4 hairs, the exclusive use of these naturally-occurring units in FUT ensures that each graft will be identical to the surrounding follicular units. •	So, when the transplanted follicular units start growing after a hair transplant, the overall results of the transplant will appear natural. 1. The hair transplant surgeon can exactly estimate the number of follicular grafts that can be obtained from dissecting a donor strip of a given size. 2. The same number of follicular units can be used to cover a specific bald area regardless of the patient's actual hair density. •	In patients with high hair density, there are usually a sufficient number of follicular units in the donor area to accomplish the patient's goals. •	However, in the patient with low density hair the doctor will suggest the proper treatment modality. •	By transplanting a patient with low hair density using the same number and spacing of follicular units as in a patient with high density, the transplant surgeon will produce a thinner look, but will allow proper conservation of donor hair for future procedures. •	The key to a natural appearing hair transplant is to have the hair emerge from perfectly normal skin, so minimizing trauma to the scalp is an important aspect of follicular unit transplantation. •	This can be accomplished by trimming away the excess tissue around the follicular units and then inserting them into small recipient sites on the patient's scalp. •	These small, trimmed, follicular unit grafts can then be placed into tiny incisions in the patient's scalp; thereby minimizing damage to the scalp's connective tissue and blood supply. •	In contrast; the larger wounds produced by mini-micrografting and plug transplants caused cosmetic problems that included dimpling and pigment changes in the skin; depression or elevation of the grafts; and a thinned, shiny look to the scalp. •	These problems can be avoided using very small grafts and very small recipient wounds. •	Another advantage of making small recipient wounds is the ability to create a "snug fit" for the follicular unit grafts. •	Unlike the punch grafts and some mini-grafting techniques; each of which removes a small bit of tissue in the recipient area; the trimmed follicular unit grafts used in FUT fit into small, needle-made incisions without any need for removing tissue. •	This preserves the elasticity of the scalp and holds the tiny grafts snugly in place. After surgery, the snug fit facilitates wound healing and helps to ensure that the grafts will get enough oxygen from the surrounding tissue in order to maximize their survival. 1. The hair restoration can be completed quickly so that the patient has minimal interference with his/her lifestyle. 2. A larger number of grafts can compensate for the shedding that frequently accompanies a hair transplant, called telogen effluvium. 3. Using large numbers of grafts in each session preserves the donor supply by reducing the number of times incisions are made in the donor area. 4. Extracting large numbers of grafts provides sufficient 1- and 2-hair grafts to create a soft frontal hairline and enough 3- and 4- hair grafts to give the patient the fullest possible look. •	In Follicular Unit Transplantation, hair has traditionally been harvested using a long, thin donor strip that is subsequently dissected into individual follicular units with the aid of special microscopes. •	In an alternative harvesting method, called Follicular Unit Extraction (FUE), individual follicular unit grafts can be removed directly from the back and sides of the scalp using a small, round, 1-mm punch-like instrument. HHY, Flat No. 114, Kamdhenu Building No 1, 1st Cross Lane, Above Dominos, Lokhandwala Market Complex, Andheri- W, Mumbai 400053.